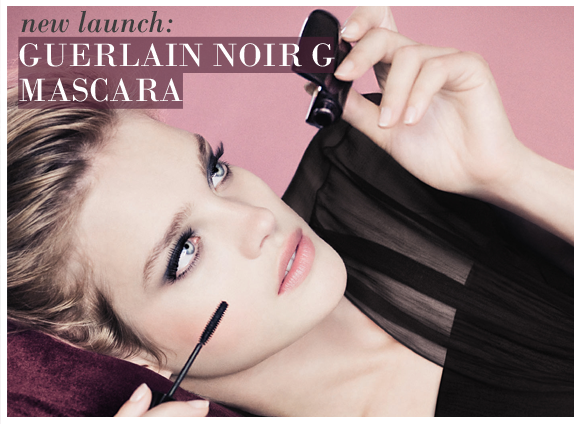 Weighty and coated in black metallic lacquer, the packaging of the Guerlain Noir G mascara is extremely luxurious. 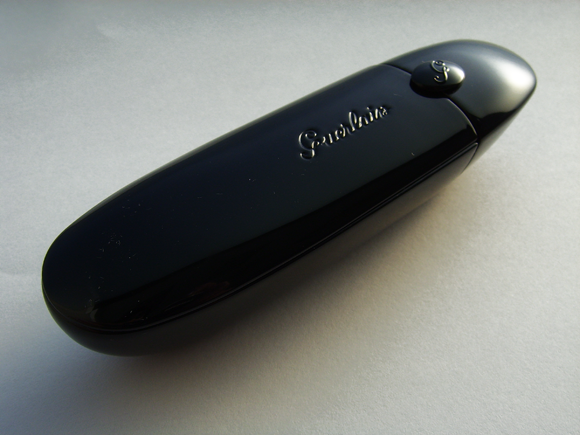 The Guerlain insignia and the ‘G’ clasp lend some timeless chic to the innovative design. 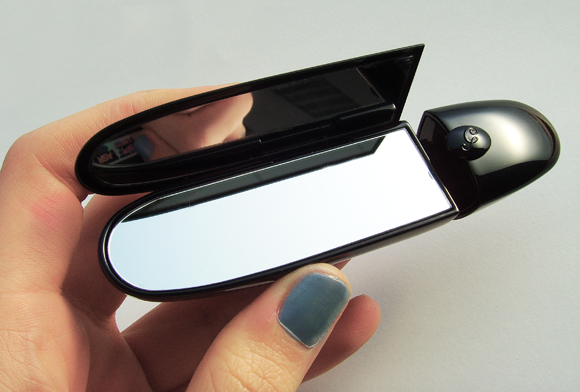 Pull the top of the Noir G and the clasp releases the door to the handy double mirror. The door is spring loaded for ease of use. 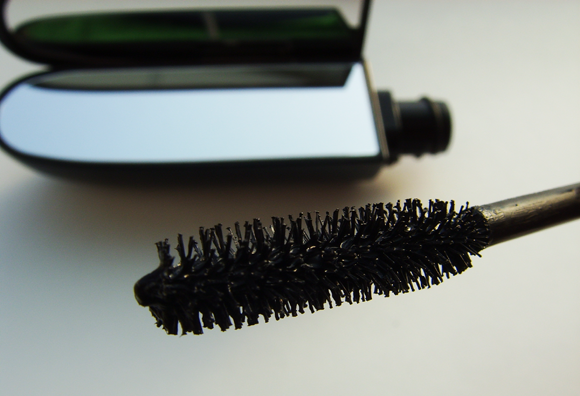 Twist the top to remove the ergonomic mascara wand and apply the plush, creamy formulation to lashes. The exceptional formula of the Noir G mascara provides all-in-one lengthening, volumising and curling for all of the drama of false lashes. A polymer film sets the formula from daybreak to nightfall, while ultra black pigments dress the lashes with the ultimate intensity for eyes that look mesmerising from every angle. Lashes are cared for with Artemia Saline extract , a cell revitaliser that helps with growth and overall condition, ensuring a long-lasting and spectacular Noir G eye look long after you’ve removed it for the day. 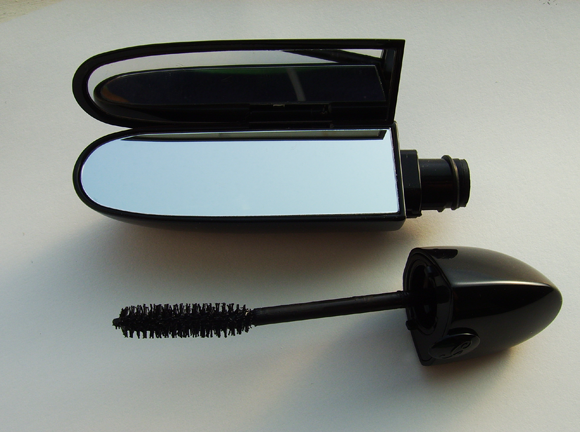 The Noir G may be refilled once the mascara has run out. To refill your metal casing, simply pull the brush away from the tube and the insert tube will come away with it. 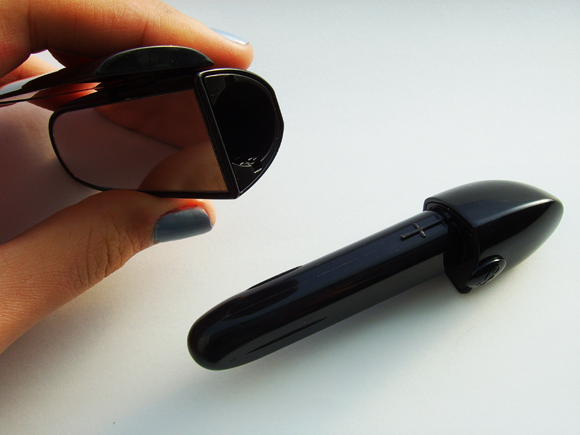 Then, push the button at the top of the mascara wand and pull the brush out of the casing. A replacement Noir G refill can then be slotted inside. I can't count how many different mascaras I have tried, from high street to high end, the main issues being flaking, clumping, smudging, lashes breaking off. This doesn't commit any of those crimes, at all. It goes on easily, thickens and lengthens (more lengthening than thickening), curls/holds a curl (I just push my lashes up a bit with fingers and it holds), stays put with no smudges or flakes until I wash it off, and it hasn't caused any damage to my lashes. They don't come out when I wash it off, and they haven't broken off as they were when I was using Bobbi Brown's smudge-proof mascara. It actually seems to be conditioning and it smells pleasant. Love that it's refillable... wish Guerlain would do this with the Rouge G lippies. This entry was posted on Wednesday, February 1st, 2012 at 9:07 am and is filed under Make-up, New products, Tried & Tested. You can follow any responses to this entry through the RSS 2.0 feed. You can skip to the end and leave a response. Pinging is currently not allowed.